Trump Park Avenue, the 32-story tower at 502 Park Avenue on the northwest corner at 59th Street, was erected in 1929 and designed by Goldner & Goldner. One of the avenue’s most distinctive towers, it has had a varied life. 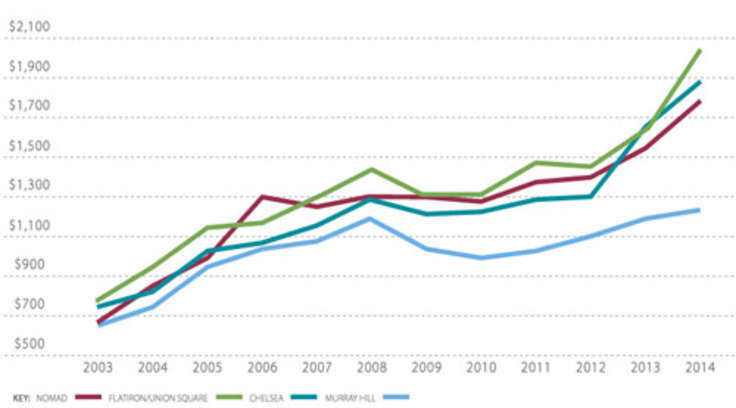 Over the years, it switched from hotel use to rental to cooperative and back to hotel use and then in 2005 to condo use. It has 131 apartments, ranging in size from one to seven bedrooms. One of the few buildings to rise significantly above the pretty uniform cornice line of Park Avenue on the Upper East Side, Trump Park Avenue offers many apartments with extraordinary vistas at a very choice location that offers the ultimate convenience to the best of New York. The handsome original proportions of this building inspired Charles Sheeler, one of the great American modernist artists, to paint it, surprisingly from its back rather than its handsome, well-proportioned, set-back, masonry front. With its three-story limestone base, pitched red-tile roof and brown-brick fa?ade, the building has always marked the northern end of the commercial section of Park Avenue and has complimented the taller, grander and flashier Ritz Tower two blocks south across the avenue. The building s tower remains highly visible in part because a major mixed-use tower that uses the air-rights of the former Pepsi-Cola and former Olivetti building at 500 Park Avenue - a sleek metal-and-glass box designed by Gordon Bunshaft of Skidmore, Owings & Merrill - was set back considerably from Park Avenue. As part of his conversion, however, which was designed by Costas Kondylis, Mr. Trump added substantial space to several of the tower's floors on the north and west sides that were glass-clad and not at all in context with the building's architectural style. Amenities at Trump Park Avenue include 24-hour doorman and concierge service, valet/laundry service, valet parking, a live-in resident manager, daily maid service, and a fitness center. Kitchens have fluted glass-panel, white-wood cabinetry, marble countertops and mirrored backsplashes. Apartments on the third and fourth floors have large units that were formerly the hotel’s ballrooms and have ceiling heights up to 15 feet. Floors five through 15 are one, two and three-bedrooms and beginning on the 16th floor some apartments have terraces. Private elevators open onto the 20th floor and beginning there are 12 full-floor apartments that range in size from over 4,000 to 7,000. Apartment J on floors 5 through 10 is a two-bedroom unit that faces north and has an enclosed kitchen next to a 21-foot-long living/dining area. Apartment G on the 10th floor is a four-bedroom unit with a 25-foot-long living room and a very large foyer. Apartment D on the 5th through the 14th floors is a two-bedroom unit with a 23-foot-long living room at the building’s southeast corner and a very large gallery and a very large enclosed kitchen. Apartment 3B is a four-bedroom unit that has a 20-foot-long foyer leading to a 27-foot-wide gallery that leads to a 38-foot-long living room and library on one side and a large dining room on the other that opens onto a very large terrace. Apartment 4C has a four-bedroom unit with a 20-foot-long gallery that leads to a 17-foot-long foyer, a 28-foot-long dining room and kitchen. It also has a 17-foot-long laundry room and most of the bedrooms are very large. Apartment 18C is a two-bedroom unit that faces south and has 13-foot terraces at either end of the apartment. The 20th floor apartment has 7 bedrooms, 8 baths, 2 powder rooms and four terraces. It has a total of 7,132 square feet of interior space and 1,526 square feet of terraces. Floors 31 through 32 hold the penthouse duplex that has 17-foot vaulted ceilings, 42 arched windows and very large terraces. Originally known as the Viceroy Hotel, its name changed not long after it opened to the Cromwell Arms and then to Delmonico's after the fabled restaurant that moved into it after a succession of uptown moves on October 1, 1929, a few weeks before the stock market crash. Built at a cost of about $5 million, the 525-room property was sold at auction in 1936 for $1.8 million. In "Park Avenue, Street of Dreams," published in 1990 by Athenaeum, James Trager wrote that the building originally had an apartment "that was called the highest-priced apartment in the world, a fifteen-room triplex occupying the three top floors and rented for $3,750 a month." Most of the residential rooms, however, were quite small, but tenants in 1935, when the building was already in default on its bonds, included former New York Governor Charles S. Whitman and Oliver Harriman, Mr. Trager noted. 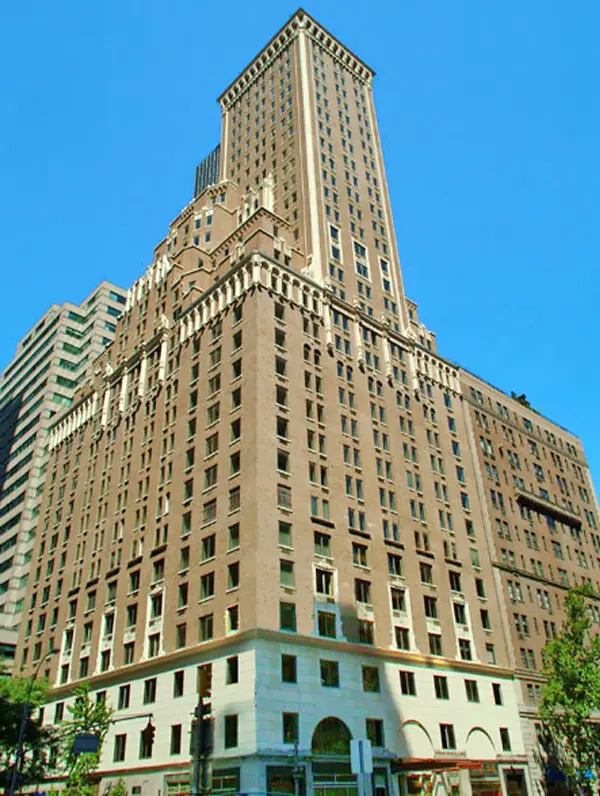 William Zeckendorf Jr. bought the hotel in 1975 and converted it back to a 193-unit rental apartment building and greatly improved the building's image by leasing space to Christie's, the auction house, and Regine's, the expensive disco and restaurant run by Regine Choukroun. Before long, the building turned into a cooperative only to be turned back into an all-suites hotel in 1990. Zeckendorf subsequently built Delmonico Plaza, a mid-block office building at 55 East 59th Street, and in 1998 Christie's announced it was relocating to Rockefeller Center. In 2002, Donald Trump acquired the property from the estate of Sarah Korein for $115 million and started its $80 million conversion to condominium apartments while changing its name to Trump Park Avenue. The sale did not include a small adjoining building at 59 East 59th Street that was being donated to a private foundation for use as a not-for-profit theater. In 1964, the Beatles stayed at the hotel here. A few years before Mr. Trump took over this property he converted the handsome Mayfair Hotel a few blocks north on Park Avenue, a smaller pre-war property. Because 59th Street is a major access route to the Queensborough Bridge to the east, there is considerable traffic at this location.